ribbon, pine cones and berry clusters. The combination of evergreens makes for an amazing joyful scent of the forest. beautiful ways you can use them. 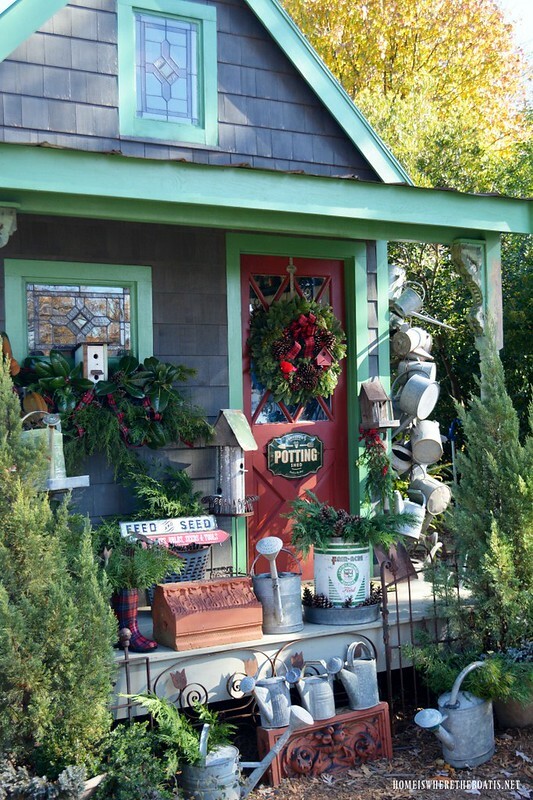 Here is the Wildlife Adventure Wreath on her iconic Potting Shed. let’s visit Laura from Duke Manor Farm. Laura chose the gorgeous Bronze Magnolia Wreaths. 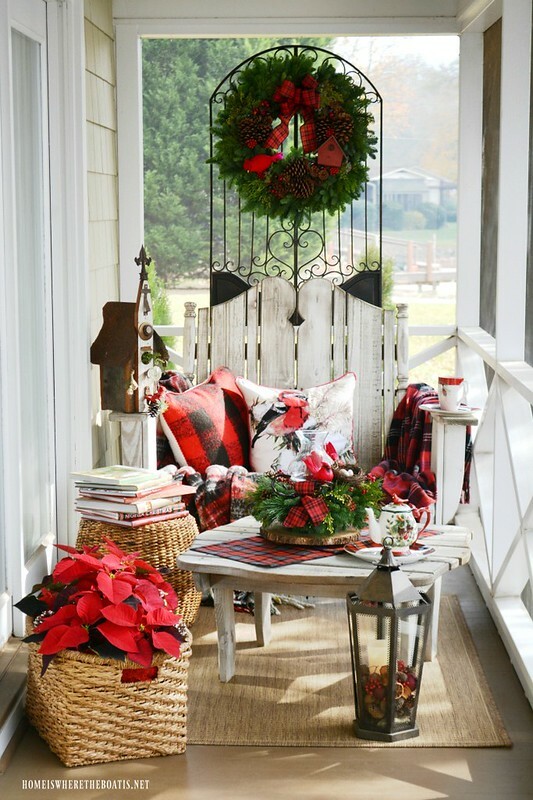 They look magnificent and so perfect for her doors and just love her porch!! 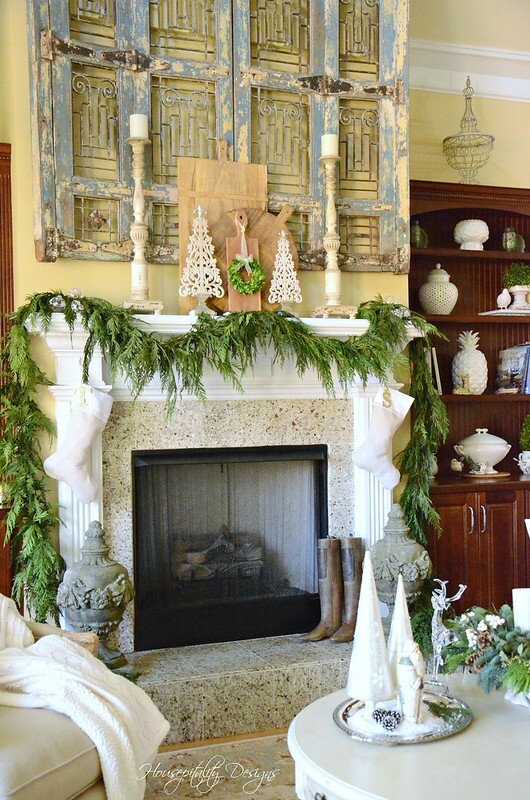 a perfect garland to set the stage for a French Country Mantel. She also chose the Hunter’s Hollow Centerpiece. Oh that birch base is also magnificent. and magnificent they are! … and oh those doors! And Piper loves them too!! 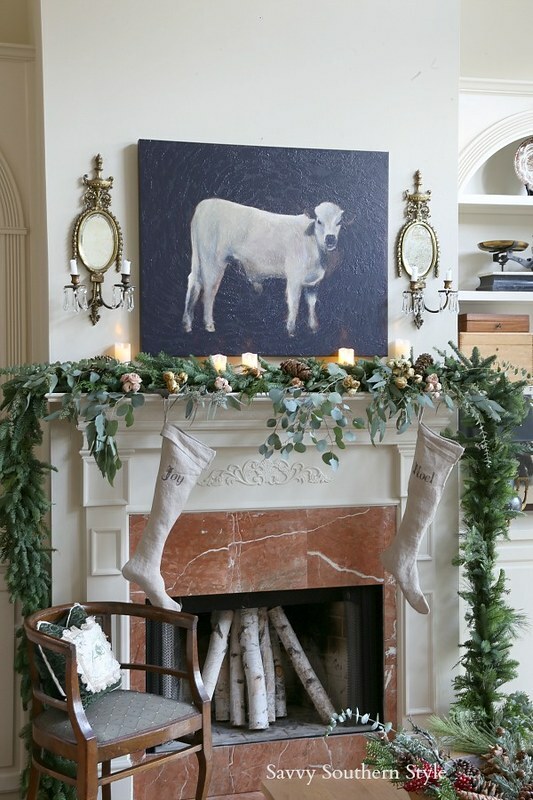 to dress her beautiful Farmhouse style mantel. with the background of the bread board and the Santa. I chose the gorgeous Deluxe Port Orford Garland. 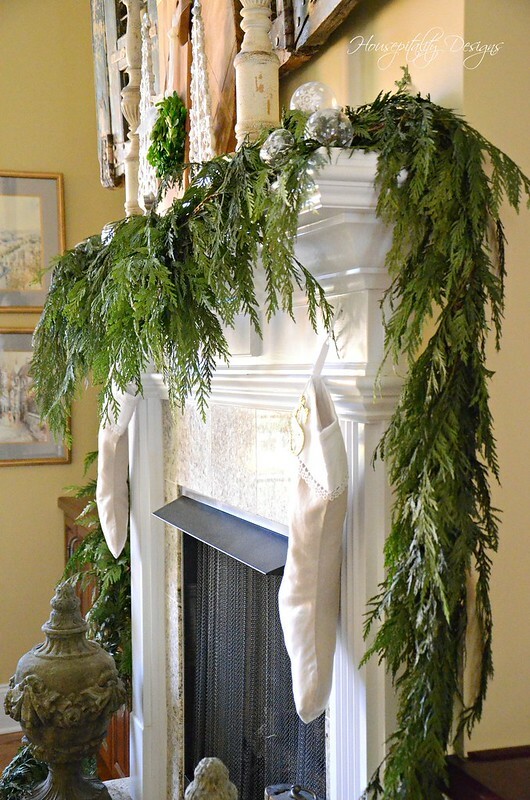 garlands…that would actually be the star of the mantel…..and it was! I chose the centerpiece Snowberry Glow centerpiece. and the theme that I had chosen for this year’s Christmas decor. wreaths or a centerpiece of the winner’s choice. 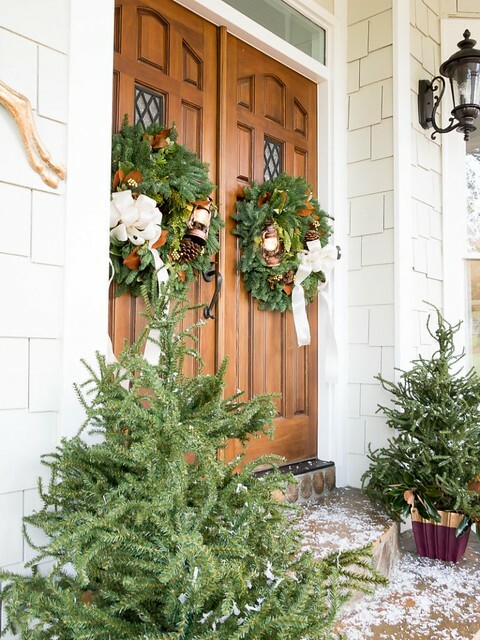 and come back and leave a comment telling me which wreath or centerpiece you would choose. and leaving a them a comment! Deadline for this Giveaway is Midnight, Sunday, December 3rd. along with a beautiful new tree!! 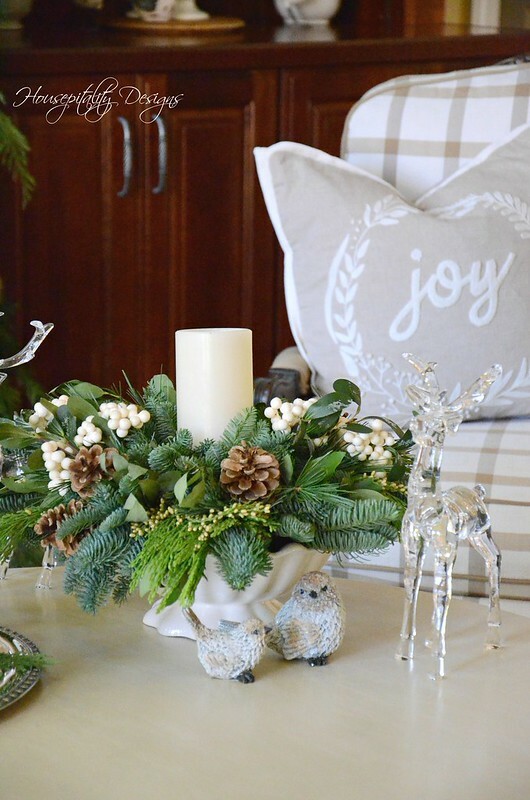 Also, this week I presented more amazing Holiday inspiration for your home. 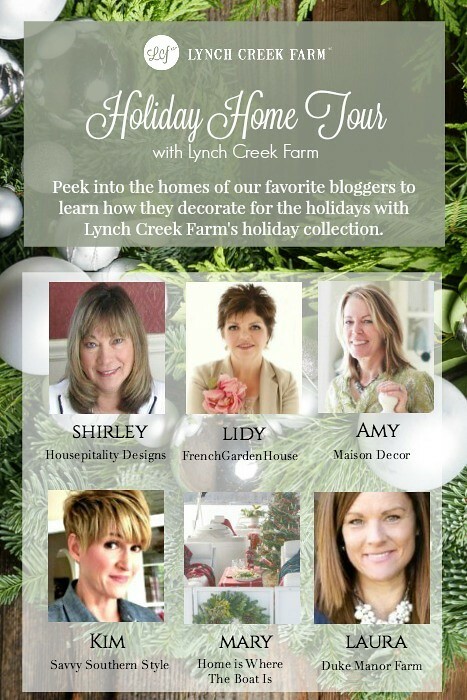 You can see it all here: the bHome for the Holidays Tour. Note: Lynch Creek Farm sent me the garland and centerpiece for review. All of my rave reviews are gloriously and joyfully my own!!! 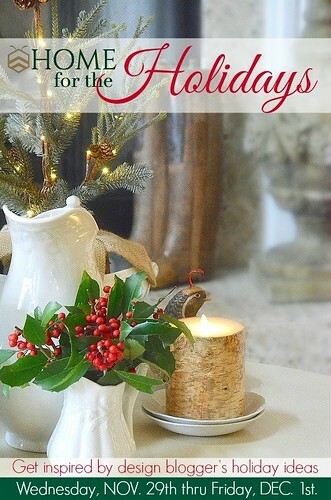 Mary’s recent post…‘Tis the Season: Christmas Tablescapes and Centerpieces! Beautiful decorating! Have a happy weekend Shirley!! All the posts are beautiful! Love your blog. I like noble nest and hunter hollow. I have a small space that either would look good. Love all the beautiful ideas. The burgundy deluxe was my fave. Love all of them! And how exciting that I can easily comment on mobile. Yay! Oh my, what a decision. 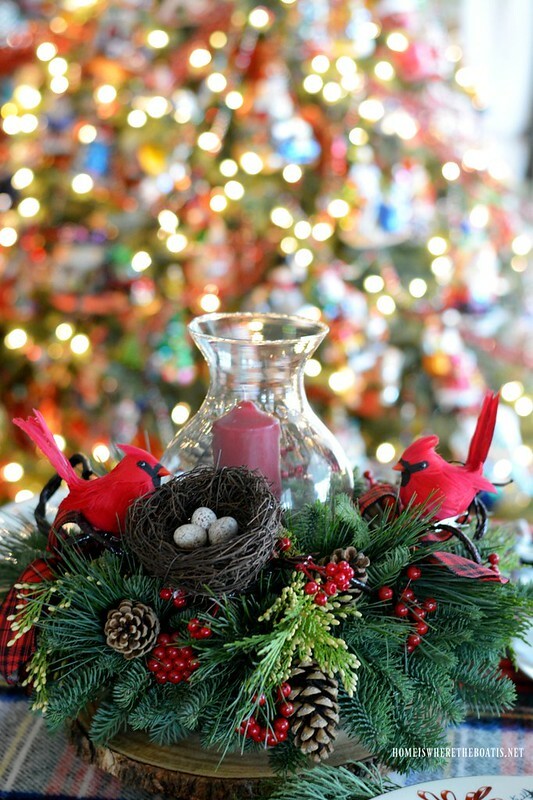 I believe wildlife centerpiece is my favorite because of the beautiful cardinals and bird’s nest. My granddaughter is nicknamed “Bird” so it has a special meaning for me. They are all beautiful, but the Wildlife Adventure fits me best. Love the cardinals. I like about 12 of the wreaths and centerpieces as well as all the garlands! 😁 If I had to choose, I guess it would be the Tis the Season wreath. 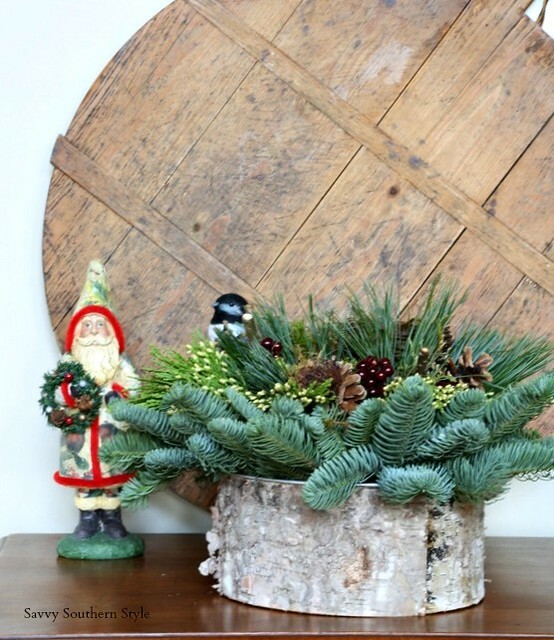 So many to pick from but I would have to chose Frosty Christmas tabletop arrangement. Love your home and decorating ideas. I like the Georgia’s pail Cute !! All of the posts were beautiful! Have a wonderful weekend! All of the Lynch Creek options are lovely. I really like the Hunter’s Hollow centerpiece. Thank you for hosting this giveaway. 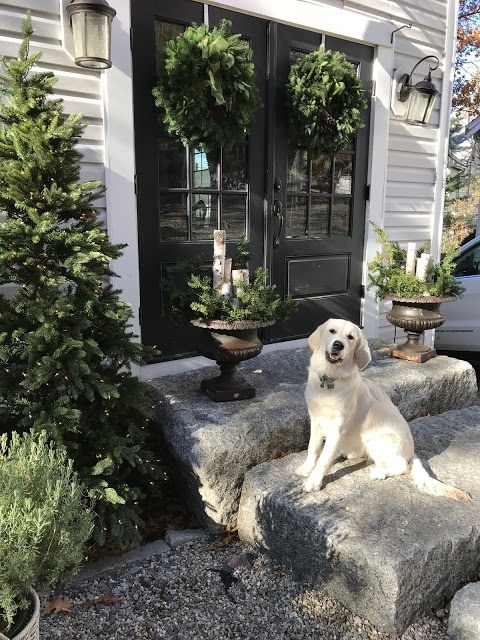 I love your home/blog. The Deluxe Port Orfard garland would be beautiful on my mantle. It looks great on yours. I so love your home and decorating. You have given me some ideas. Thank you so much for sharing. Everyone’s use of the fresh greenery is top notch! I really love the super draped garland on your mantelpiece. It’s graceful and lush, and I’m sure it smells wonderful! Some lucky winner is going to be VERY happy! You have the most beautiful decor. Such an inspiring site. I love the Vintage Glow centerpiece with the little red lantern! This was a hard decision since I love all the beauties that Lynch Creek offers. My favorite centerpiece is the Wildlife. Thanks for giving us the opportunity to win one of their beautiful items. I love the Deluxe Port Oxford Garland. It is an Awesome job as always. I love the Deluxe Port Oxford Garland. You are very talented. They are all pretty in the bloggers homes. 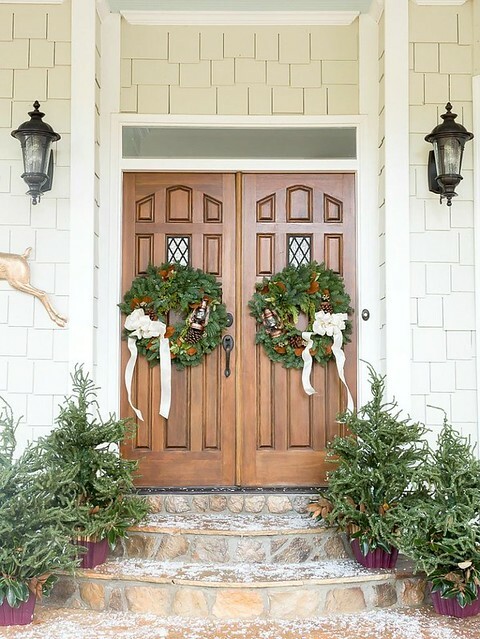 If I were to choose it would be the:….Deluxe Port Orford Garland! 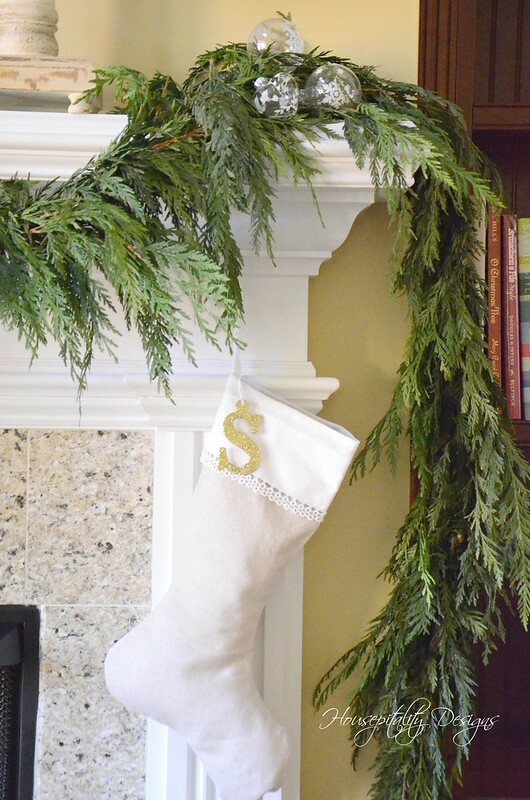 Love the draping of this garland! I would choose the Wildlife centerpiece. Gorgeous uses for that one. And your mantel is beautiful. Thanks for chance to win. PICK ME !! LOVE! lOVE ! 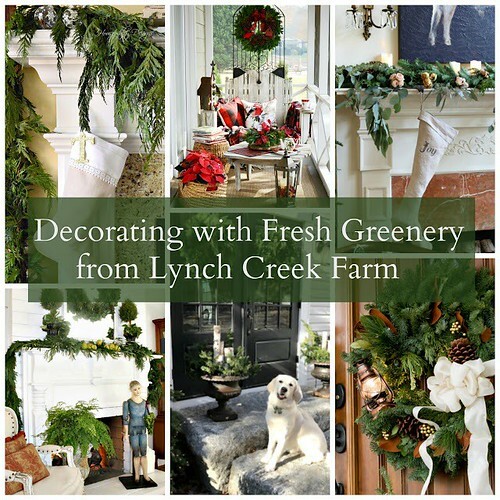 Lynch Creek Farms wreath and centerpieces !!! LOVE the one with the red birdhouse and cardinal !! 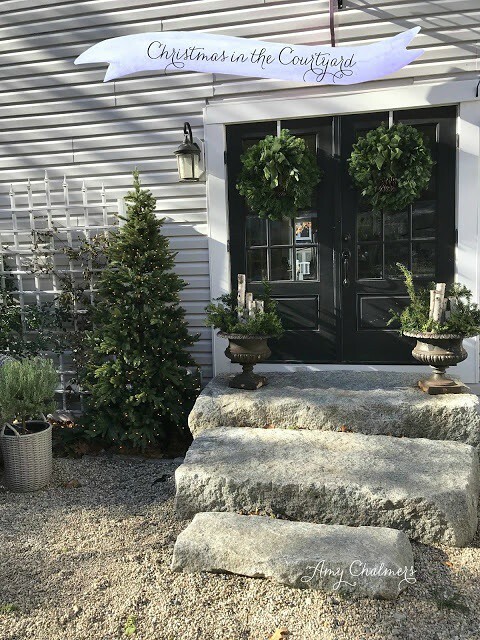 Beautiful round-up of Lynch Creek Farms wreaths and garland. Each lady did a gorgeous job incorporating the fresh greenery! Thanks for sharing, Shirley. They are all lovely pieces. Of the Centerpieces I like Home for the Holidays centerpiece. 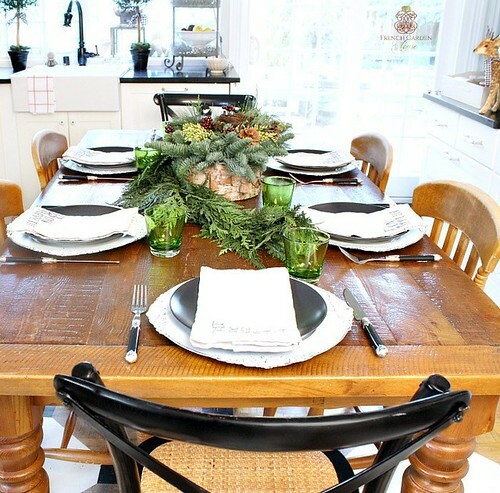 Just such a warm inviting tablescape.